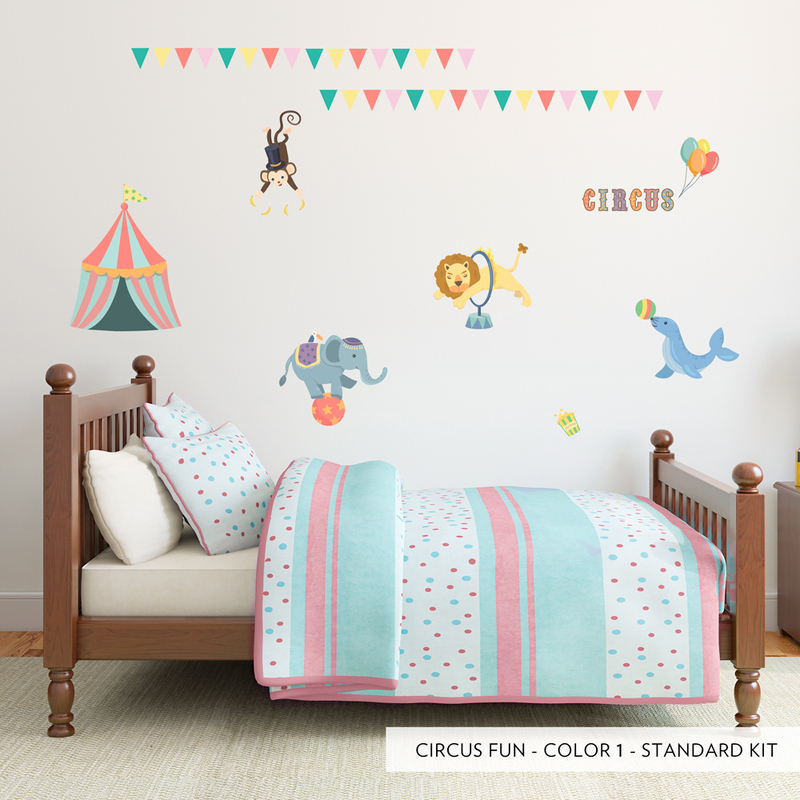 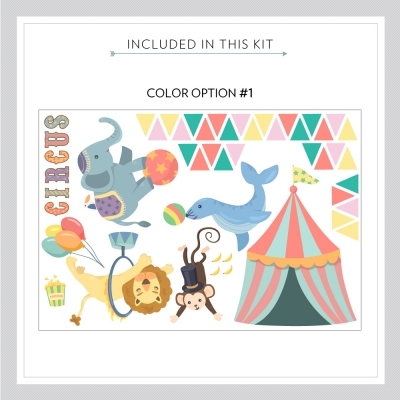 Create the ultimate circus act scene with our Circus Fun Printed Wall Decal! 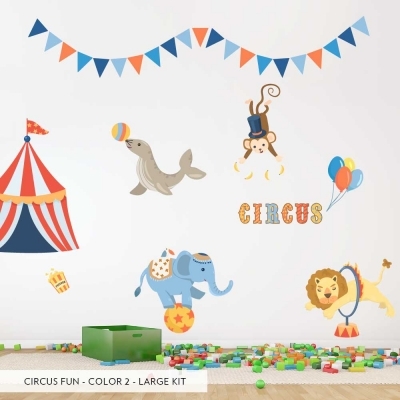 Talented animals performing all kinds of tricks, they will surely impress and delight any child! 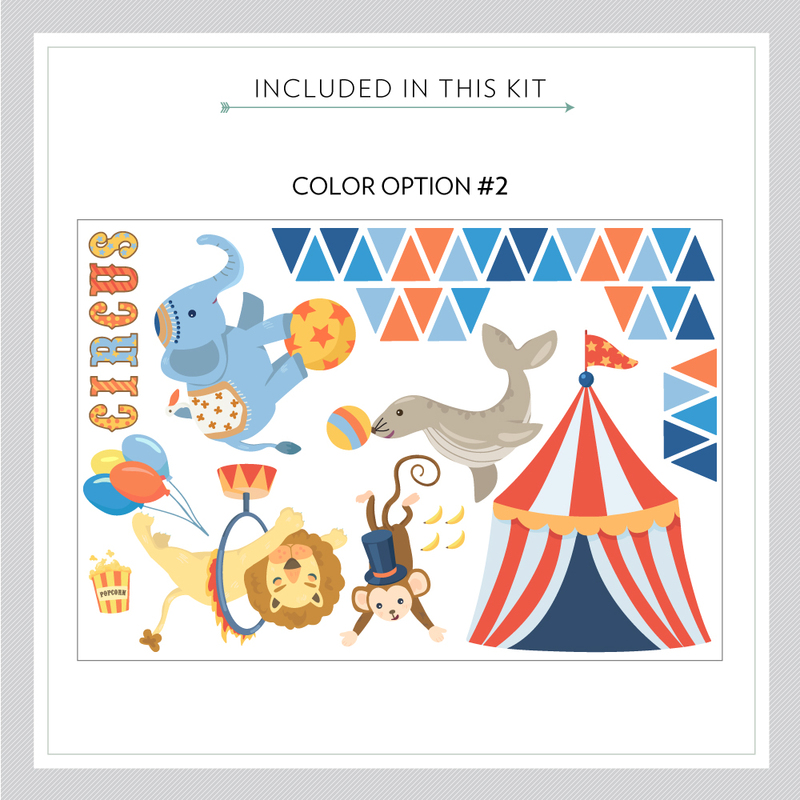 Available in two kit sizes and two color options. Please note: Colors and sizing may vary slightly from the image above.